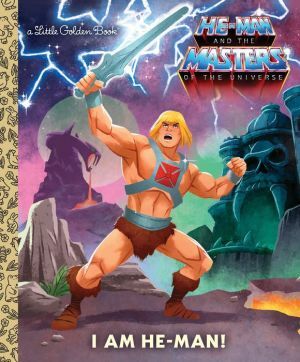 He-Man, the Most Powerful Man in The Universe, returns in a classic Little Golden Book! Journey to Eternia to meet He-Man, the Most Powerful Man in the Universe! This Little Golden Book, based on the original He-Man toy line and TV series, introduces He-Man and all his heroic friends as they battle the evil wizard known as Skeletor! Children ages 2 to 5 and fans of the classic 80s series will love this fun-filled Little Golden Book! He-Man and the Masters of the Universe is a classic animated series currently airing on Netflix. A new She-Ra animated series will debut on Netflix in November 2018!